Our next meeting is next Thursday, April 16 at 7PM at Rock Paper Scissors in Montclair. Entries for the Garden State Quilters’ Show close on April 17. Contact Betsy Vinegrad with questions and see our previous email for details and forms. Our May meeting will be on Thursday, May 21. We will meet our board candidates, swap mini-bee blocks and share impressions of our Heather Jones program. The June meeting, with elections and our summer swap (TBD) will be on June 18. Heather Jones comes May 1! Join us for her lecture at the Church of Latter Day Saints at 7PM. 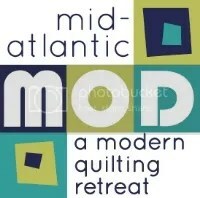 She’ll be talking about color theory and sharing her quilts. Her sold-out Improv Pineapple workshop is the following day, May 2. Denyse Schmidt is coming to Rock Paper Scissors Wednesday June 17 for an evening workshop. Signups will happen soon. Details will come from RPS. When we were playing “Let’s make a deal” I noticed I did not get my 2015 membership card. Can someone mail it to me before the Heather Jones lecture? Absolutely, Diane! I have it right here.